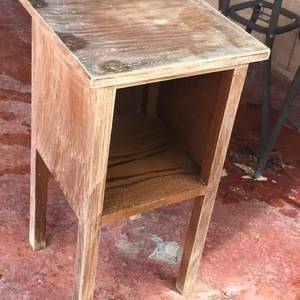 I took an old piece of furniture my mother had in her kitchen that she used to store cookbooks in and made it into a cute little distressed side table. 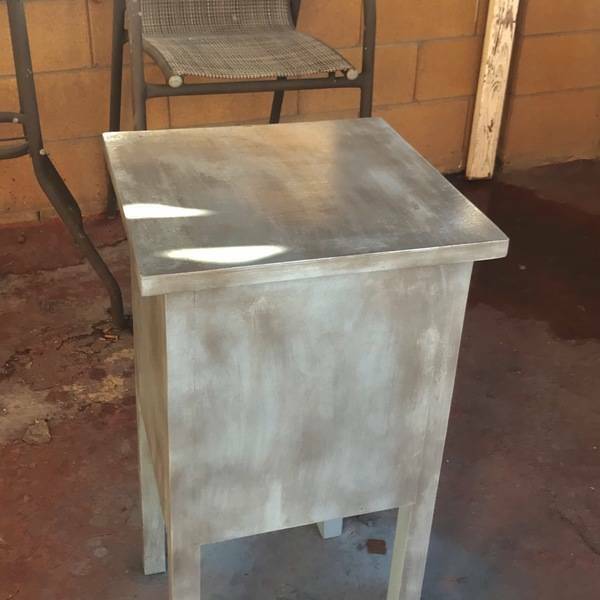 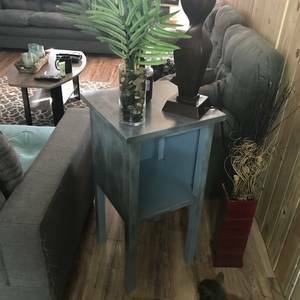 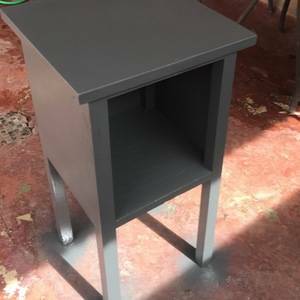 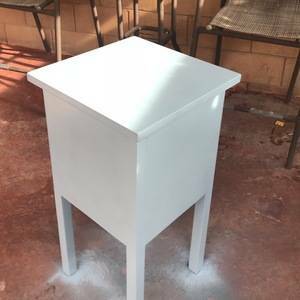 Awesome job on this side table! What color paint did you use?